FOUR BCSC STAFF MEMBERS FIRED OR QUIT THAT HAD CONDUCT ON OUR MATTER! And lets not forget the flunky investigator Elizabeth “Liz” Chan – she was either terminated or quit in April 2014 – the same month she admitted to assuming during her cross examination. Posted on April 23, 2017 Categories BCSC Truth1 Comment on FOUR BCSC STAFF MEMBERS FIRED OR QUIT THAT HAD CONDUCT ON OUR MATTER! DOES BCSC’S C. PAIGE LEGGAT THINK SHE’S THE BOSS DURING SETTLEMENT NEGOTIATIONS? Only a couple of weeks before the extremely expensive hearing began at the BC Securities Commission, we again tried to settle by sending a proposal to their lawyer. Staff Litigator C. Paige Leggat again indicated the ONLY way she would consider taking the Settlement Offer to the Executive Director was IF I agreed to all allegations in the Notice of Hearing and paid a fine and disgorgement of $5.8 million. This was the final straw and ended up costing the FCC and DCF Investors any participation in the real estate project that was part of the Settlement Offer. 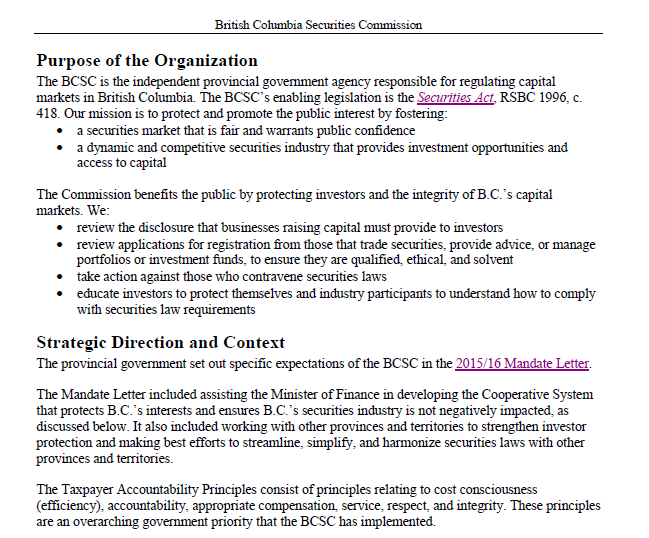 WHY WOULD THE COMMISSION (WHO’S MANDATE IS TO HAVE THE BEST INTEREST OF PARTICIPANTS IN THE BC CAPITAL MARKET) NOT EVEN DISCUSS WITH THE RESPONDENTS THIS OFFER? The wording in these latest emails is comical – Leggat has the gall to imply that “we” had been in settlement negotiations for the last few months. This is absurd – as she blocked EVERY attempt the Respondents made to settle and bring something back to the table for the investors in FCC and DCF. And from looking at the Code of Ethics for ANY lawyer in the Province of British Columbia – it is clear that they must take any and all offers to settle to their client. In this case – that would be the Executive Director at the BCSC. At the time, this would have been Paul Bourque. This is YOUR regulator people! Call them and find out why they did not even enter into discussion with the Respondents – Call 604-899-6500 and ask for someone to explain this to you!! Unfortunately you cannot ask for C. Paige Leggat as she miraculously resigned shortly after we accused her of manipulating evidence in the Executive Director’s Written Submissions on Liability! Maybe you could ask for the Director of Enforcement at the time – Ms. Teresa Mitchell-Banks – oh sorry, you can’t – she was terminated in November 2015 under what seems to be mysterious circumstances to say the least. What a complete GONG SHOW this organization appears to be! Who’s in charge? When are they going to wake up? 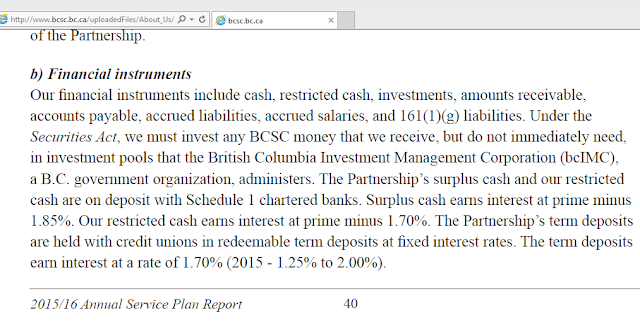 Posted on April 21, 2017 April 21, 2017 Categories BCSC TruthLeave a comment on DOES BCSC’S C. PAIGE LEGGAT THINK SHE’S THE BOSS DURING SETTLEMENT NEGOTIATIONS? UPDATE: CBC DOES HUGE STORY ON THE ADVISOR/ADVISER FIASCO THE REGULATORS IGNORE! 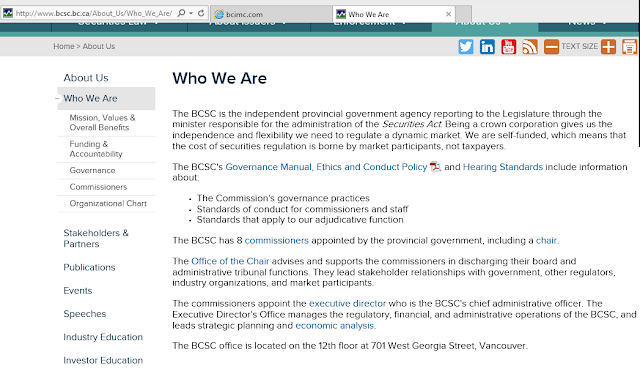 Posted on April 11, 2017 Categories BCSC TruthLeave a comment on UPDATE: CBC DOES HUGE STORY ON THE ADVISOR/ADVISER FIASCO THE REGULATORS IGNORE! WHY ARE STAFF AT THE BC SECURITIES COMMISSION QUITTING OR BEING FIRED? As we were preparing this blog post – something remarkable just became VERY apparent….what is happening down at the BCSC??? 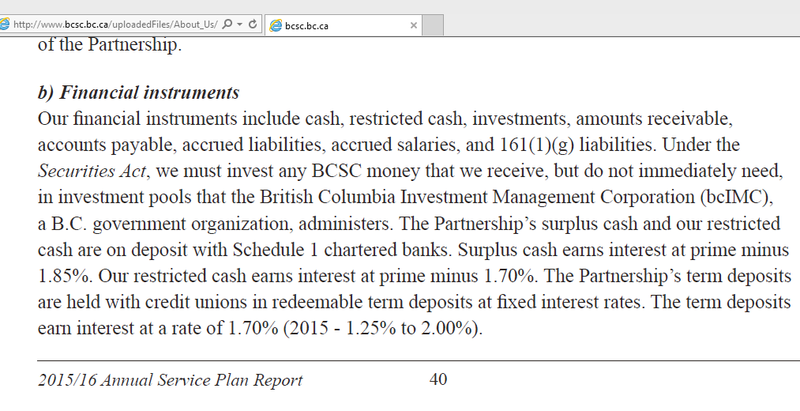 And let’s not forget the former BCSC Investigator Elizabeth Chan – the flunky who had conduct over our file and admitted to assuming information she supplied to her superiors was/or could be factual. 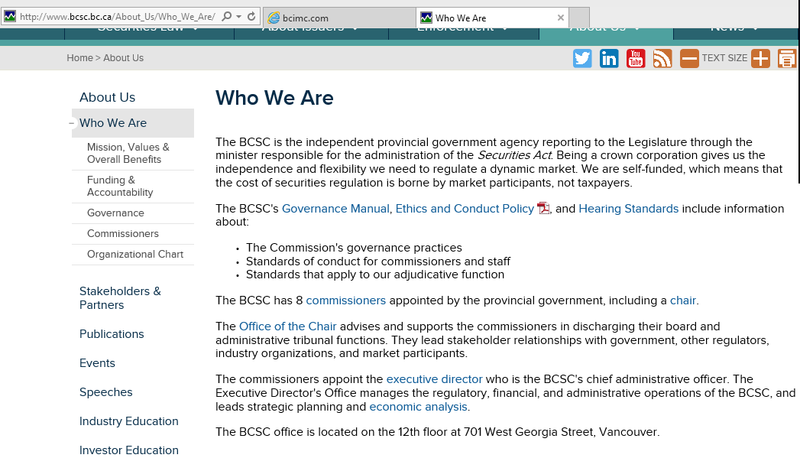 Posted on April 2, 2017 Categories BCSC TruthLeave a comment on WHY ARE STAFF AT THE BC SECURITIES COMMISSION QUITTING OR BEING FIRED?